Security management has and will always be a key part of any organization. Whether it’s finding a way to secure data in the cloud or simply within the walls of your own organization, finding and implementing a process is of the utmost importance. 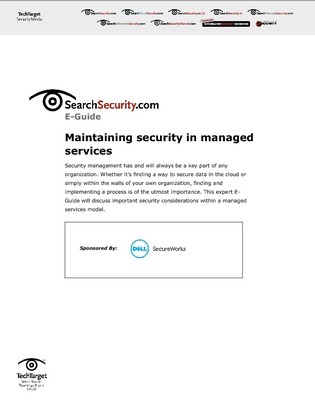 This expert E-Guide will discuss important security considerations within a managed services model.